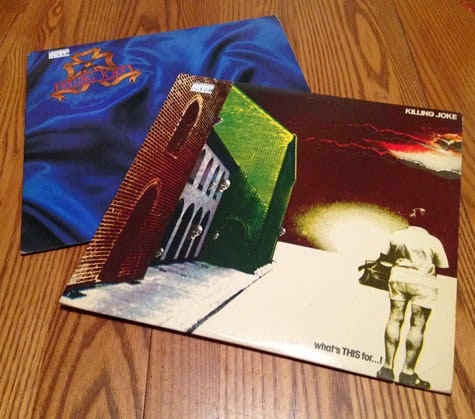 Letters From A Tapehead: Shopping For Records: Death, Killing Joke, Public Image, Ltd.
Shopping For Records: Death, Killing Joke, Public Image, Ltd. Yesterday, I took a drive over to Siren Records to investigate the stock and maybe pick up an album or two. 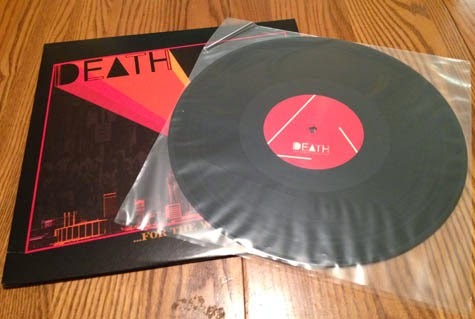 Of my list, only one new release that I wanted was available (which I'll discuss later in one my of "Bought of 2014" articles), though I was contemplating picking up the new Merchandise LP. They had a couple copies and I keep hearing that it's great, so I may try and sample a track or two and pick it up during a return trip. I was also looking for the new Blonde Redhead album, but had apparently come a little early. Vinyl editions are supposed to be out this week according to one of the clerks and the CD wasn't in stock. I also searched for the Freddie Gibbs/Madlib album, Piñata, which I've been wanting to pick up for a while now. I may have to just buy that one directly from Stones Throw. Some beautiful editions of Mastodon's Remission reissue were available, though no Once More 'Round The Sun on vinyl or CD, which was also disappointing. The reissue was about $50 and I wanted to stretch my dollar for all it was worth. I didn't have a lot of money to spend, so I had to keep my total modest. Probably one of the greatest rock n' roll stories ever told: Three brothers from Detroit become fascinated with Alice Cooper, form a band called Death and basically come up with the fundamentals of punk rock three or four years ahead of the Ramones. It could be argued that Death was on the same page as The Stooges, though the band faded into deep obscurity for many years after failing to sign to a label and subsequently breaking up by the time "punk" became the thing keeping CBGBs fully occupied. Eventually, a rare Death single, "Politicians In My Eyes"/Keep on Knocking," was discovered and ultimately led to the band's 1975 material to be released by Drag City. ...For The Whole World To See is the result and I happily added this to the pile when I saw it. I'd been meaning to pick it up for a while anyway, especially after finally checking out the documentary, A Band Called Death. Check it out if you haven't. I couldn't recommend it enough. I seem to state for the record time and time again that I am NOT an authority on music of any kind. "Fraudulent" is an excellent term to sum up the self-absorbed bile I work my fingers to elaborately spew across the info-slipstream and virtual blog heap. Truth is I'm always, ALWAYS trying to fill out my record collection with essentials and inform and evolve my tastes so as to better understand and comprehend how "then" led to "now," as every critic and/or fan should. With that said, I'm far from fluent or expert in any given genre and constantly learning. Upon discovery of two used (and very reasonably priced) copies of Killing Joke's 1981 LP, What's THIS for..., and their 1982 follow up, Revelations, I felt compelled to pick them both up. The absence of Killing Joke from my collection became something I needed and wanted to fix. What's THIS for… wound up being about $8. Revelations was about $4. 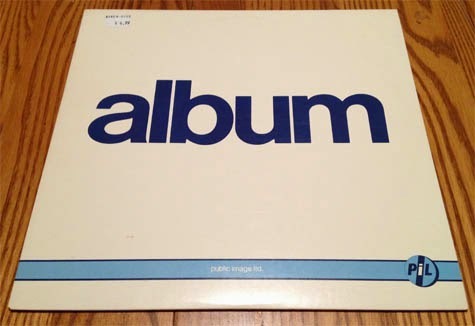 Public Image Ltd.'s Album has been on my list of wants for some time. I found this copy for $7 and decided I'd finally pull the trigger. Having not done any research on Album, it was interesting to discover that Steve Vai, Tony Williams and Ginger Baker were involved with the project.